NEW TIME! Join us for Arab American Stories. This film series, presented by Detroit Public Television, explores the diversity of the Arab American experience.The films, narrated by NPR's Neda Ulaby, present real stories of Arab Amiercans and how they are making a difference in their communities, their families and the world at large. We will show one film from the series and follow with a panel discussion with: Soraya Hosni, Executive Director of the Arab Cultural and Community Center; Lara Kiswani, Executive Director of the Arab Resource and Organizing Center; Dr. Hatem Bazian, Academic Affairs Chair at Zaytuna College and Senior Lecturer at UC Berkeley; and moderated by Serge Bakalian, San Francisco-based filmmaker and the Executive Director of the Arab Film Festival. The event is co-sponsored by KQED, the Arab Cultural and Community Center and the Arab Film Festival. 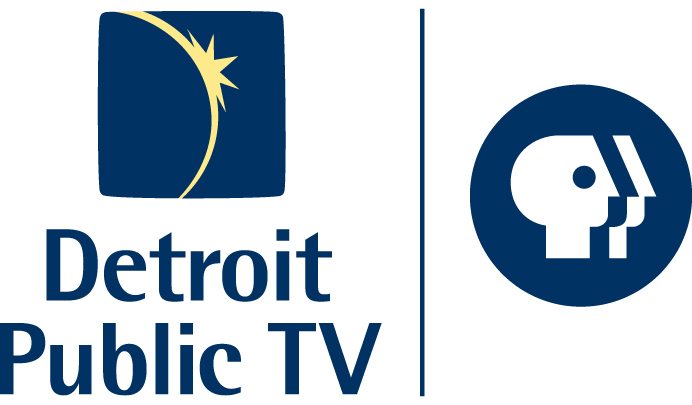 Funded by Detroit Public Television. Soraya Hosni is the executive director of the Arab Cultural and Community Center. Soraya is completing her Phd in Cultural Anthropology and is a visual anthropologist and cultural activist. She uses stories, video and photography as a mean to transmit intergenerational knowledge and empower isolated communities with a specific emphasis on children and youth. She was a former visiting scholar at the Ethnic Studies in Berkeley University, developing her theoretical work on indigenous ways of knowing & decolonial methodologies. This research looks for ways of connecting stories, cultures and peoples. Soraya has experience with nonprofits, grant writing, strategic planning, management, leadership & cost allocations, among other things. She is Tunisian & French, born & raised in Paris. Lara Kiswani is the executive director of the Arab Resource and Organizing Center. She is Palestinian raised in the Bay Area. She has organized with antiwar, immigrant rights, feminist, community, youth and student organizations. She also worked as a youth and adult educator in nonprofits and schools. Lara completed her undergraduate studies at UC Davis, majoring in International Relations with an emphasis on Peoples and Nationalities, also helping to establish the Middle East South Asia minor. She earned an MA in Education at SFSU where her research focused on Palestinian Americanyouth identity, language and decolonization. Dr. Hatem Bazian is co-founder and Academic Affairs Chair at Zaytuna College, the first Muslim Liberal Arts College in America. He is also a senior lecturer in the Departments of Near Eastern and Ethnic Studies at the University of California, Berkeley. Bazian teaches courses on Islamic Law and Society, Islam in AmericaDe-Constructing Islamophobia and Othering of Islam, Religious Studies, and Middle Eastern Studies. Between 2002 and 2007, Bazian also served as an adjunct professor of law at Boalt Hall School of Law at the University of California, Berkeley. In addition to Berkeley, Bazian is a visiting Professor in Religious Studies at Saint Mary's College of California and adviser to the Religion, Politics and Globalization Center at UC Berkeley. In Spring 2009, he founded the Center for the Study and Documentation of Islamophobia at UC Berkeley, a research unit dedicated to the systematic study of Othering Islam and Muslims. Recently he was named in the category for Social Justice as one of The Muslim 500; The World’s Most Influential Muslims by The Royal Islamic Strategic Studies Center. He received his Ph.D. in Philosophy and Islamic Studies from the University of California, Berkeley. Serge Bakalian is a San Francisco-based filmmaker and the Executive Director of the Arab Film Festival. He has worked for the F.A.O. of the United Nations and Greenpeace International before moving to San Francisco in 2007 to produce film, and theater dedicated to the Middle East. In 2011, Serge completed the award-winning "Default: the Student Loan Documentary." He has worked on a wide range of issues and campaigns, notably on defending the biodiversity of the world's food supply against genetic modification. Serge holds a B.S. in Chemistry and a B.Sc. and M.Sc. in International Relations from the London School of Economics. He is from Beirut, Lebanon.